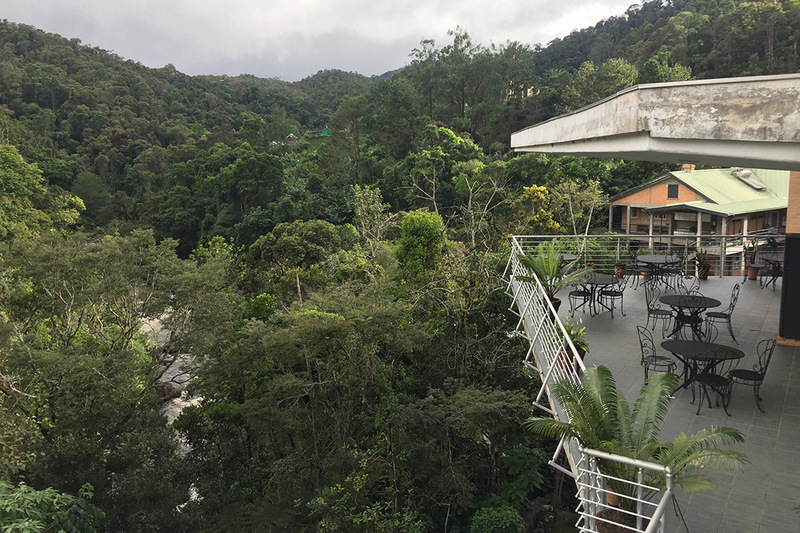 Researchers from RIT and Seneca Park Zoo recently journeyed to the Centre ValBio field station in Ranomafana National Park on a trip that laid the groundwork for creating accurate 3D models of the exotic Madagascar wildlife and habitat. Researchers from Rochester Institute of Technology and Seneca Park Zoo are developing a virtual reality gaming environment that will let zoogoers experience a Madagascar rainforest ecosystem. They recently journeyed to the Centre ValBio field station in Ranomafana National Park on a trip that laid the groundwork for creating accurate 3D models of the exotic Madagascar wildlife and habitat. RIT Professor Anthony Vodacek and Seneca Park Zoo Society Director of Programming and Conservation Action Tom Snyder used remote sensing equipment to examine animals including comet moths, scorpions, katydids and other large insects. The goal is to create the virtual reality gaming environment in the next one to two years. This will be the second gaming experience RIT and Seneca Park Zoo have created for zoogoers. The zoo is currently beta testing a game that simulates the Genesee River ecosystem. Visitors can play as an otter, a farmer, a homeowner or a scientist to learn about how their actions impact the environment. Snyder said Seneca Park Zoo Society’s partnership with RIT, which was formalized in 2017, has opened his eyes to new approaches to preserving the environment. 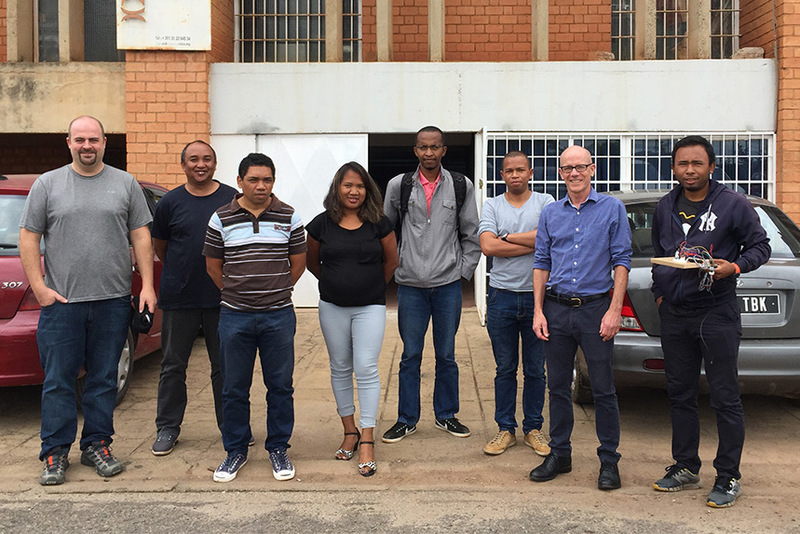 During their trip to Madagascar, RIT Professor Anthony Vodacek, second from right, and Seneca Park Zoo Society Director of Programming and Conservation Action Tom Snyder, left, also visited with researchers from the University of Antananarivo. Vodacek worked with Tim Bauch, a senior lab engineer in the Chester F. Carlson Center for Imaging Science, and Morgan Webb, a first-year motion picture science student from Greenwood, Mo., to develop a prototype for a multi-view imaging system to capture the 3D models of the Madagascar wildlife. Vodacek also used a ground-based LIDAR system created by Professor Jan van Aardt to scan the structure of the forest and field microphones to passively record sound for the visualization aspects of the gaming environment. Now that he’s had an opportunity to test the equipment in the field, Vodacek can refine the process and said he sees larger applications for remote sensing insects. Vodacek said his trip, which received funding from the RIT Global Office and College of Science Dean Sophia Maggelakis, opened up the possibility for RIT students to study abroad at Ranomafana National Park in the future. He called Madagascar an ideal spot for research because of the abundance of endemic species that can only be found on the island. While Vodacek prototyped one system to create 3D models of insects, freshmen in RIT’s imaging science program are also creating similar systems for their project-based Innovative Freshmen Experience class. The students will display their findings at the Imagine RIT: Creativity and Innovation Festival on April 27.